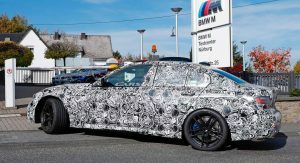 BMW unveiled the 2019 3-Series at the Paris Motor Show, so attention is naturally turning to the upcoming M3. 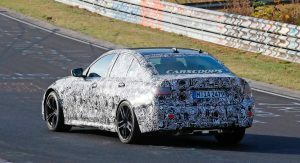 Expected to debut eight months from now in Frankfurt, the 2020 M3 promises to a major improvement over the current model which has a 3.0-liter M TwinPower Turbo six-cylinder engine that produces 425 hp (316 kW / 430 PS) and 406 lb-ft (550 Nm) of torque. 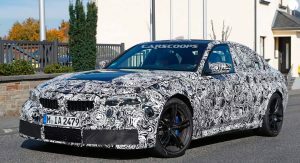 There have been countless rumors about the output of the M3’s new twin-turbo 3.0-liter inline-six, but Car Magazine says the sedan will have 474 hp (353 kW / 480 PS) and at least 480 lb-ft (650 Nm) of torque. If those numbers are correct, we’re looking at a gain of 49 hp (36 kW / 49 PS) and 74 lb-ft (100 Nm) of torque. That’s a pretty sizable increase and report also suggests engineers have been able to cut 143.3 lbs (65 kg) of weight. 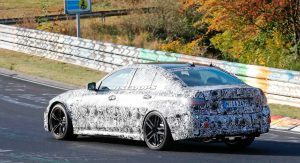 This is pretty impressive considering the model is slated to have a standard eight-speed automatic transmission and a defeatable all-wheel drive system just like the larger M5. 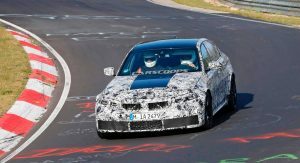 Purists haven’t been too happy about the M3 getting all-wheel drive and it appears BMW has been listening. 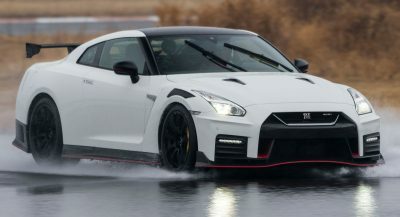 According to the publication, there will be a so-called “Pure” model which is aimed at driving enthusiasts. 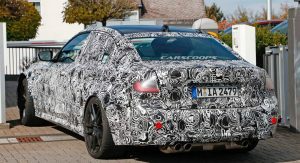 The car will reportedly have a six-speed manual transmission which sends power exclusively to the rear wheels. 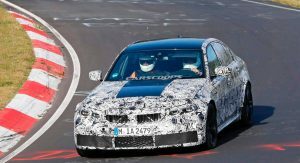 This should enable the model to be lighter than plusher versions of the M3, but it will reportedly have a reduced output of 454 hp (338 kW / 460 PS). 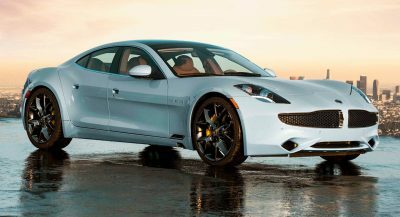 This was reportedly done because BMW doesn’t have a six-speed manual that can cope with more than 480 lb-ft (650 Nm) of torque. 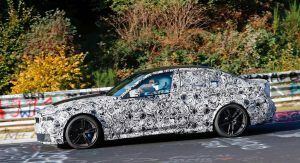 That being said, the report doesn’t say how much torque the M3 Pure will have. 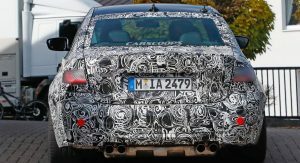 The car’s special status will reportedly be reflected inside and out as the model is rumored to have unique bumpers, special wheels and an optional paint color that is exclusive to the rear-wheel drive variant. 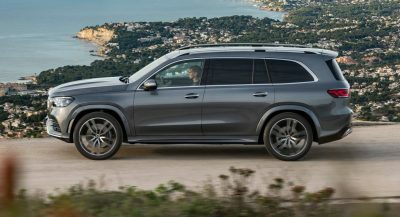 Drivers cna also expect special upholstery and a revised instrument cluster with unique graphics. 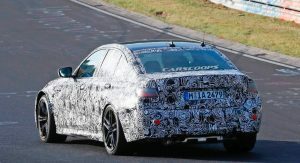 The M4 is also rumored to have a Pure variant and drivers looking for even more performance can expect an M4 Competition with around 503 hp (375 kW / 510 PS). 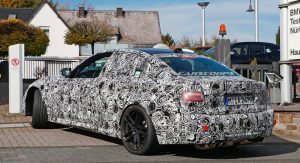 Further down the road, there could be an M4 CS with 530 hp (395 kW / 537 PS) and an M4 CSL packing approximately 550 hp (410 kW / 557 PS). 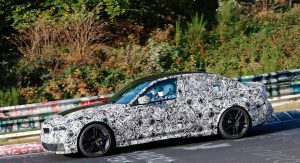 The report also suggests previous rumors about M3 Touring were just that – rumors. 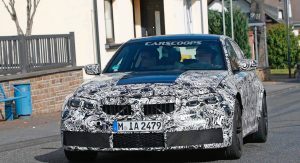 Instead, the publication says an M4 Gran Coupe will effectively fill the role of a more practical M3. I have to change my clothes now. 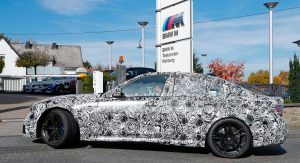 BMW will only make a limited number of these vehicles and then charge a premium over the faster M3/4 with the 8-speed ZF and AWD. welcome to ultimate marketing machine. 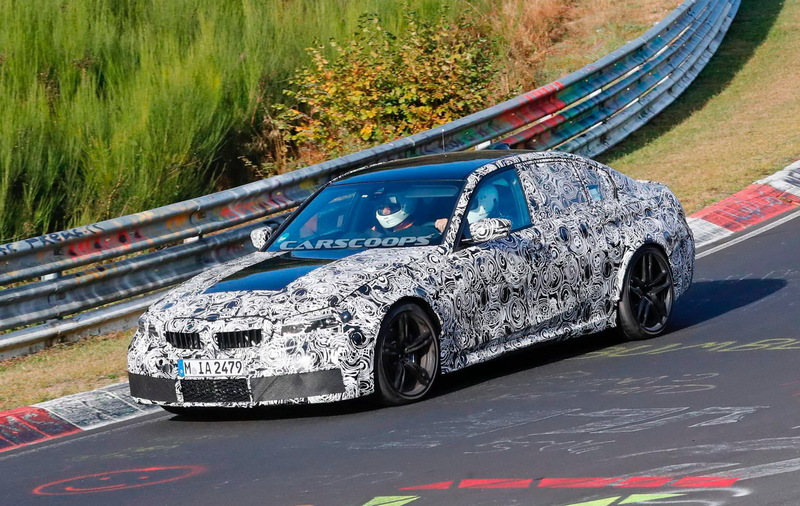 A Pure variant is the best thing BMW can do. It is also wise for them to develop a new 6 speed or 7 speed manual (re: Porsche and Corvette). Either way, the Pure should also spread to the M5. 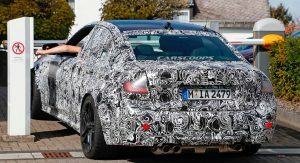 M4 GC is not practical IMO; maybe an M4 GT?? The Pure line can be to the M what a tii (or is or es or ts) shoul dbe for the regular run of the mill BMWs. Imagine a purist 2/3/4 series! Stripper cars that are driver focused. 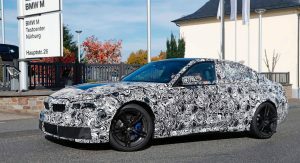 “there will be a so-called “Pure” model which is aimed at driving enthusiasts.” BMW has lost its way. 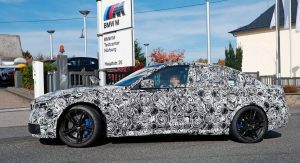 BMWs, all BMWs, are supposed to be for driving enthusiasts and the M models are supposed to be an extreme expression of that driving joy. 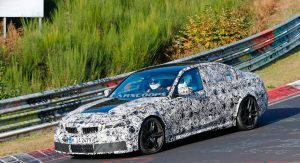 Why in the world would BMW ruin the M3 and then try to compensate by making a “Pure” model? People can say what they want about Porsche making a sedan and SUVs, but you can drive all Porsches like you stole them. And they only get faster as you go up the model range. 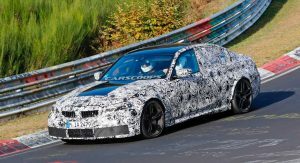 So the current M cars are not for driving enthusiasts then? 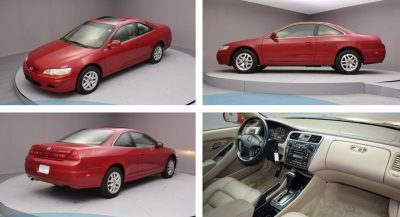 We all know automatic transmissions and AWD are what buyers want so can’t blame them for that. Porsche can still make a PDK GT3 a driver’s car. 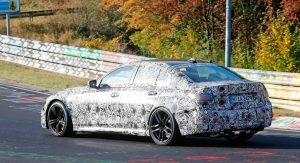 There’s nothing to suggest the ‘Pure’ version will be any different to the regular M3 as far as dynamics are concerned, save for differences in RWD vs AWD. I am a driving enthusiast sick of lack of traction. If you have four wheels at your disposal, use them ! As a driving enthusiast, you should know that the kind of tire you drive on matters more than how many drive wheels you have. Good point, but the times…they are a-changing. I drove a Cayenne and I did not like it at all…can’t say it fit your all Porsches description. The 911 though, yeah that’s a machine. Too bad without the Cayenne there wouldn’t be a 911 anymore. Nothing but good news, there. PLEASE BMW, build the M3 wagon. PLEASE. 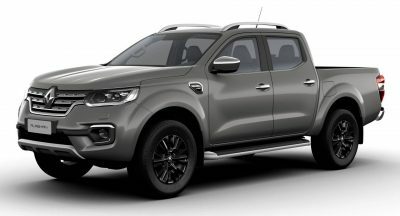 And make it a global model available in Australia. Thank you. 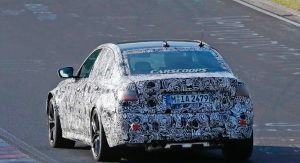 They already make a pure M4. It’s the M2 Competition. Next PostNext Are We In The Golden Age Of Badge Engineering?